When GPS tracking is mentioned in car rental, most operators would probably list preventing the loss of vehicles as a GPS system’s top feature. But for operators like Todd Foss, a GPS tracking system is used more for logistics than for preventing theft. On the small Caribbean island of Turks and Caicos, GPS systems aren’t needed to track stolen vehicles. “We use the trackers to help our company be more efficient and to improve customer service,” says Foss, owner of Grace Bay Car Rentals, a Thrifty franchisee with three locations in Turks and Caicos. 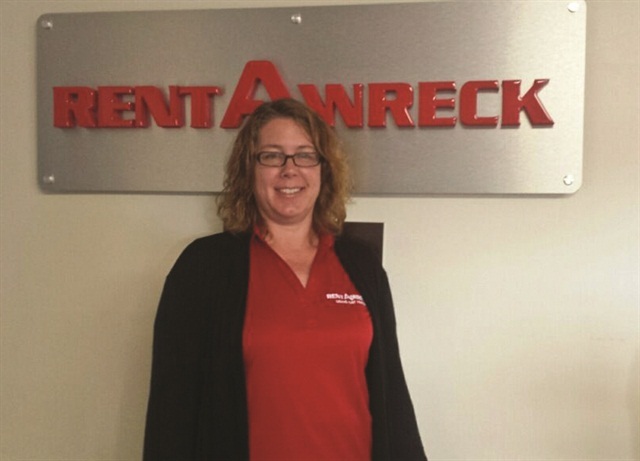 Monica Meier, owner of a Rent-A-Wreck franchise in Sebring, Fla., began equipping her company’s rental vehicles with GPS tracking as soon as the location opened. Here are some examples of how GPS systems have improved fleet management and customer service as well as reduced costs at these car rental companies. GPS has helped eliminate the need for an early morning shift at Grace Bay. Flights don’t arrive at Providenciales International Airport until 10 a.m. daily, but a few departure flights leave around 6 a.m. To avoid paying for an employee to be at the airport for those early morning flights, Grace Bay has set up a self-service check-in. Renters leave the cars at the airport and put the keys in the company’s drop box. According to Foss, the main issue with the self-service process is the high parking fees charged by the airport. To cut down these fees, a Grace Bay staff member will check the GPS trackers each morning to see if any vehicles were left at the airport. For Meier, a GPS system helps check the status of vehicles that are supposed to be returned soon. Monica Meier, owner of a Rent-A-Wreck franchise in Sebring, Fla., uses GPS systems to check the status of vehicles that are supposed to be returned soon. Photo courtesy of Monica Meier. Knowing that a vehicle will be late allows an operator to make other arrangements for the next rental customer. Or if a customer calls to extend the reservation and his or her credit card is declined, with GPS, Meier can shut off the car and then know exactly where to pick it up. A GPS system also helps Meier know when a vehicle is driven out of state. Because her company charges more for mileage if the vehicle leaves Florida, the tracker gives her physical proof to charge the renter for out-of-state mileage. “I get an alert on my email when one of my cars is driven out of the state,” says Meier. Cash rentals can become more of a possibility with a GPS tracking system. While the security of a credit card on file is nice, being able to locate your vehicles instantly can lower the risk typically involved with cash customers. With no grid pattern, similar looking beaches and small streets with hard-to-identify names, it can be easy to get lost on the island of Turks and Caicos. “If a renter is driving around the island and gets a flat tire, it can be difficult to describe where they are when they call our company’s 24-hour roadside assistance,” says Foss. With a GPS system, Grace Bay’s maintenance staff can track the vehicle and find the exact location of the renter on a Google map. Then “we can find them and help them,” says Foss. When Meier receives this email, it gives her company the opportunity to check the car before it’s rented out again. A GPS system’s tracking technology not only helps pinpoint the vehicle’s exact location but it also measures speed. This can come in handy if a renter gets a speeding ticket. According to Foss, the GPS tracker will show how fast the driver was going. Todd Foss and his wife Leslie started Grace Bay Car Rentals, a Thrifty franchisee, in Turks and Caicos in 2006. Photo courtesy of Todd Foss. 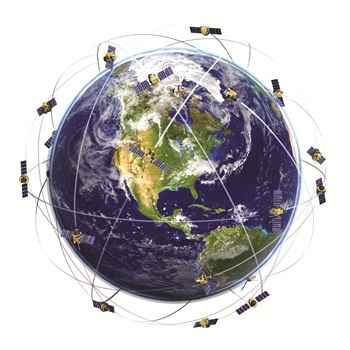 Foss hopes to add another use to his GPS systems: monitoring fuel. According to Foss, if he can hook the GPS system up to the fuel, it could save his company a lot of money to better track gas usage. Starting as a small operator with 13 cars, Foss had to monitor gas usage the old-fashioned way by looking at the gas tank and then punching the numbers into a software program. Foss admits that it’s even harder when the island doesn’t offer many of the technology solutions available in other countries. For example, Turks and Caicos still has no portable credit card terminals at fuel stations. Anne Taylor has been supporting the rental car market with its GPS tracking needs since 1996. She can be reached at anne.carol.taylor@gmail.com. Related: Car Rental Q&A: How Can I Make Sure That I'm Taking Full Advantage of My GPS Tracking System?